How do we make a product for a church which would enable wider reach for its activities and daily schedules? 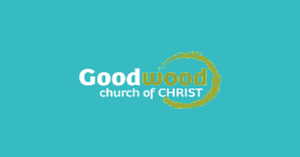 Good Wood church is a body of believers in the Truth of Jesus Christ. They are led by a group of elders who are appointed according to the principles laid out in 1st Timothy 3:1-7 and Titus 1:5-9. The Restoration Movement, emerging on the Allegheny frontier, gained a foothold in the deep South during the 1840s. Preaching the restoration of New Testament Christianity and the unity of all Christians upon belief in the Bible alone, the “Reformers” or “Disciples,” as they were known, followed the advancing frontier from Virginia and Kentucky to the Western Reserve. Good Wood still have some of the original members of the small group from the 1930s with us and they believe that their original mission of trying to base our doctrine and worship on the Bible alone remains in effect today. After the devastation of Hurricane Katrina in August of 2005, we housed over 150 New Orleans residents for a month, providing them with shelter, food and other resources to help rebuild their lives. We collected over $672,000 in donations for relief efforts and continued to disburse these funds as families and churches along the Gulf Coast rebuild.